Ever since news broke of Trayon Christian's arrest following his purchase of a Ferragamo belt at Barneys, the case has caused quite a whirlwind of controversy. And, the conversation about racial profiling that has developed as a result is long overdue. While Christian's story is just one of two reported instances that include the iconic shopping establishment — the other involves Kayla Phillips, who claims she had a similar negative experience after buying a Céline bag at Barneys — it is an important reminder that the issue extends beyond this incident or this city. And, thankfully, as WWD reports today, plans are already in place for Barneys' CEO Mark Lee to speak with the Reverend Al Sharpton's National Action Network next week. While Barneys did quickly make a statement on Wednesday night via Facebook, the company took to social media again last night to reiterate its intent to re-evaluate and review its practices to ensure that all customers experience the same level of service. “[We] are conducting a thorough review of our practices and procedures as they relate to these matters to ensure that they reflect our continued commitment to fairness and equality. To lead this review, we have retained a civil rights expert, Michael Yaki, who also serves on the U.S. Commission on Civil Rights. The commission has been the nation’s watchdog for civil rights for more than 50 years. Mr. Yaki will be provided with unrestricted access to all aspects of our store operations. 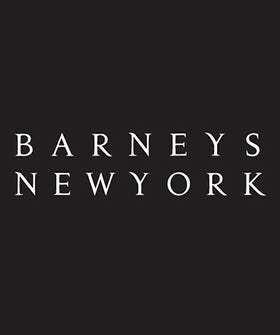 In addition, Barneys New York has reached out to community leaders to begin a dialogue on this important issue.” You can read the entire statement on the company's Facebook page. Photo: Courtesy of Barneys New York.